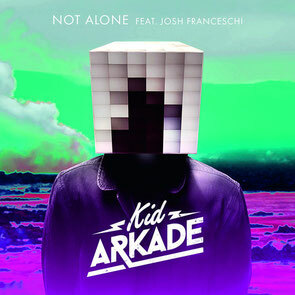 With a busy touring schedule and a host of remixes, Kid Arkade are already in the midst of a decent 2015. ‘Not Alone’, the newest single to come from the enigmatic duo, is now available to stream online and is the latest music delivered by the British outfit. Taking a step away from their electro-house roots, they have enlisted the help of Josh Franceschi of You Me At Six to provide the vocals on the emotionally charged song. Scheduled for release on 26 April via Ultra Music, this marks Kid Arkade’s biggest release yet on the label. With official Kodaline and Sia remixes already under their belt, more original material on the way very soon, this year could be their break-through year.